Institutional data is available upon request and is generally shared pending review of the request by the Coordinator for Institutional Research and the Vice President for IT Services. 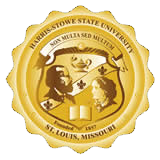 The review process is to ensure that data shared conforms to compliance expectations of Harris-Stowe State University by federal, state, and local regulations as well as accrediting agencies and other compliance bodies. To initiate a request, please email planning@hssu.edu.